As of June 20th, the $3.4+M project is officially underway. The plan is to renovate the Breezeway in three sections: south side first, then middle, then north side. If you want to know specifically where you can see the PDF here. Phase one fences are up now. Everything around the fences (like the Bookstore) is still open, although you don’t seem to be able to enter GS (General Classroom South, formerly “GCS”) from the Breezeway side. To orient you, Hillel/24 hour study center is off to the immediate right of this picture. It's the intersection of the north-side and east-west pathways of the Breezeway. The overall plan involves the usual infrastructure stuff like waterproofing, painting, and electrical work as well as aesthetics like adding glass walls/fascade changes/moving staircases/adding pavers. Should be done around October/November 2017. 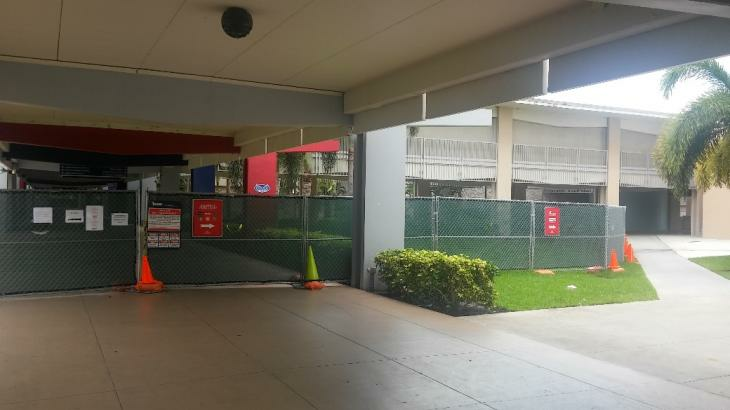 This project was a long time in coming; originally wrote about the FAU Breezeway Design charrette back in April 2014. Before that, wrote about ideas for “Building a Better Breezeway” back in October 2012. As I mentioned previously, FAU had a document up on the Breezeway Renovation page with renderings, trimmed the document from 5 pages to 3 and then eventually removed the link altogether so I don’t know if the renderings are early conceptual ideas or nearly finished products. I'll update once the final images come out. The one image showed the west entrance of the Breezeway with the staircase realigned from that entrance to the 2nd floor and a side sign saying RITTER GALLERY. The main "storefront" side facing the library sidewalk looked like a giant billboard; not sure if it's supposed to be a giant screen or not but other universities have something similar that they use for campus announcements. Another image showed the Central Breezeway with an elevated walkway that ran along the north side of the Ritter Gallery (from the previously mentioned staircase). There was a north entrance to the gallery and the ugly gratings were replaced with glass walls from the waist down. The patch of grass that's enclosed by the intersection of the Breezeway and the triangular sidewalk going past Hillel would get filled in with pavers and potentially activate that space. The Breezeway image had a new floor and a central plank that ran north-south to provide concealed/cove lighting approach to the Breezeway. This could be especially interesting if it can be programmed to slowly cycle through different colors. The last image showed the north Breezeway with a wave-like blue-tinted glass entrance structure and some pavers extending west suggesting a renovation of the north side of the Barry Kaye/Business east building. I hope there are some surprises and a lot more to see. This is a huge opportunity to do something great with an iconic campus structure, to create different social zones, introduce art/technology and really make it fun. There were so many good ideas put out at the charrette and granted they are bound to a budget but it will be interesting to see what they plan to do about things like the bathrooms, seating, the end terminals and of course the second floor. I’m also curious to see if they retain the school colors that were recently painted onto the structure. Even with a quick Google Image search you can see there are a lot of interesting ideas out there that could make the Breezeway a unique space and a point of pride for the university, so let’s hope they did this right. This is a minor project but since it’s technically part of the Breezeway I’ll mention it here. Apparently Starbucks will get an internal renovation to get it up to speed with corporate guidelines. Not sure what that entails exactly or how extensive of a project it is, but you can see here that the store has been emptied in anticipation of that project. I have to wonder if there's enough demand to establish another coffee shop on the north end of the Breezeway. 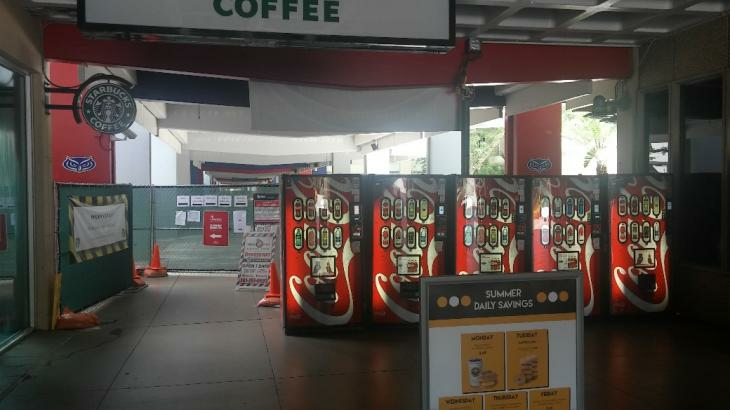 I'm just surprised that this one small Starbucks can handle the 25k students on this campus on a busy week, though Dunkin Donuts and Outtakes sell coffee as well. Around June 22nd the university changed out the previous banners for more, shall we say, brochure-style banners hanging from the Kenneth R. Williams Administration building. It’s a sharper look and a great change. It mirrors similar imagery in advertisements off-campus we previously covered such as on the Mizner Park elevators, the Town Center Mall indoor signs, the airport, billboards, etc. As you may have heard, FAU will spend $800k for eight new tennis courts and a shaded observation area to be built west of the track/north of the Burrow, in what is now an unused(?) track’n’field area. You can read more about it and see the map of the location here, which also points out a “future building” which will no doubt host coaches offices and a locker room. I suppose they’ll use the Burrow locker rooms until then? Anyway, very exciting stuff to be able to bring this back to campus, as the team had previously played their matches at Patch Reef Park. Side note: if FAU doesn’t do the courts in our school colors with the FAU logo (like they did at Chun’s alma mater, Ohio State) it will be a wasted opportunity. 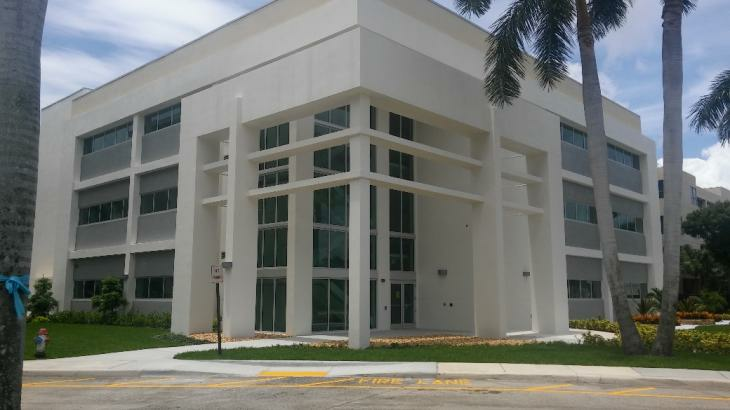 This office building for the medical school – officially known as “Office Building one” or ME104 - is wrapping up. The facility is home to faculty rooms, patient rooms, procedure rooms, sample processing labs, conference rooms, stuff like that. - After the barber shop moved from the Student Union to the Pavillion area by the bookstore, a nail shop moved in to take its place (if I remember correctly). The nail shop has since closed and the space will become the Office of Military and Veterans, a presence that seems to be growing on campus. There was talk of building a monument to our students who have served but I haven’t heard anything recently about it. It makes a lot of sense especially since the campus itself has such an important history as a former military base. - Now that they've succeeded in getting milkshakes here, Student Government is trying to get Chick-fil-A to offer their breakfast menu on campus. The restaurant is technically an "Express" but I don't think any students want the Express if they can get the full menu. Because Chick-fil-A is delicious. It's one of the best decisions Chartwells has made, adding it to campus. - Tech Runway getting a monument sign because they feel “buried” within the Research Park. - Culture and Society building is getting a Chihuly glass art piece. Dale Chihuly is a “world-renowned” American glass sculptor with his own museum in Seattle called the Chihuly Glasshouse and Garden. - The University Village project northeast of campus on Spanish River has not started construction yet. My understanding is that it’s still in the design/leasing phase. If you have no idea what I’m talking about, you can read about it under “The Next Big Thing” here. - The Spanish River I-95 exit project is coming along. It’s still going to be another year though. 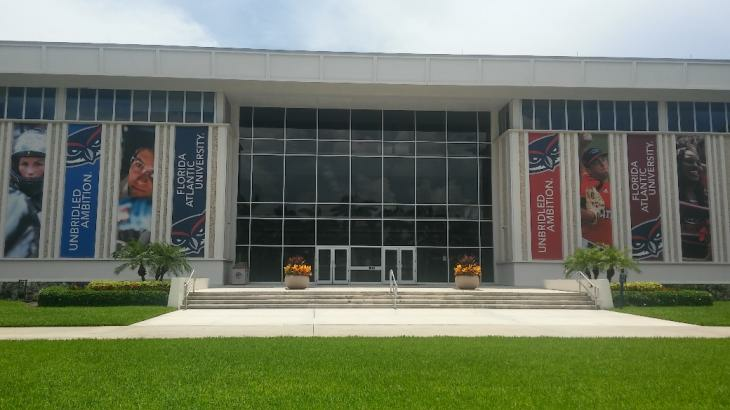 I’ve not seen any plans for what FAU intends to do to “spruce up” the north entrance to campus by the Tech Runway. 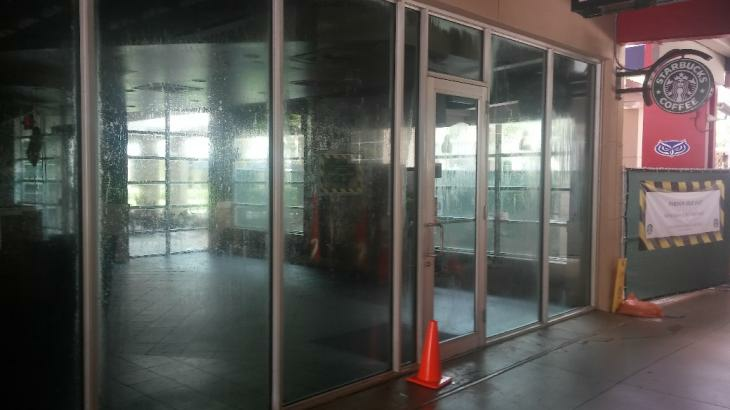 - Nothing new to report on 20th Street except that the site in the Shops at University Park that was supposed to become Coach Schnellenberger's Steakhouse & Sports Theatre is now available for lease again. No reason has been given. The news of the opening and “closing” was reported in the forum by fauowl. - Infamous FAU nightlife hotspot Night Owl has reopened up as Lucky’s Bar and Grill. It is not a college bar. Damn shame. Most FAU students have moved onto other places now, including Rockn Angels near Delray and the Black Rose (formerly Boardrider’s) downtown is starting to pick up more steam as a college bar. Still need more in Boca. Many more. - And on that note, Delray’s Beer Trade Co is coming to Boca Raton; it will take over the Sonny's Gelato location on 20th Street/Federal Highway. It’s sort of a self-serve craft brew place. You can read more about it on their Yelp page. Wow. Great spot. Sonny's has been there forever. What another great update. How long will the breezeway take to do? Did I miss that part in your update? Thanks! Should be done around October/November 2017. Obviously since they're doing it in sections the south side will be done first and the north side done last so you'll be able to see improvements as they go along.